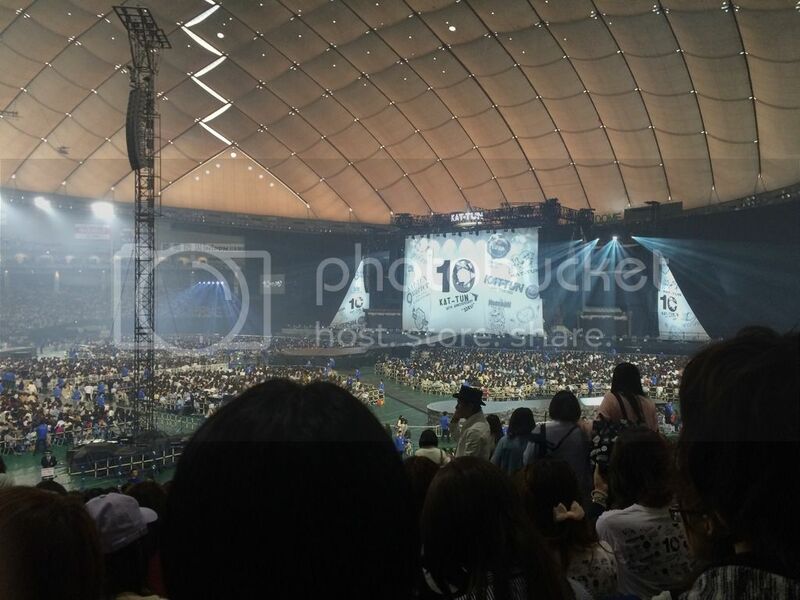 Taking a break in posting about my personal life to post about my experience seeing KAT-TUN's 10th anniversary concert in Tokyo Dome last month! This is definitely not going to be a real report, because I don't know enough about KAT-TUN and their history to write effectively about what happened, and there are a lot of Hyphens out there who have written real reports, but I'm going to put my feelings and photos here. We arrived at Tokyo Dome on Saturday evening and quickly went around to the front of the dome to get photos of the decorations! 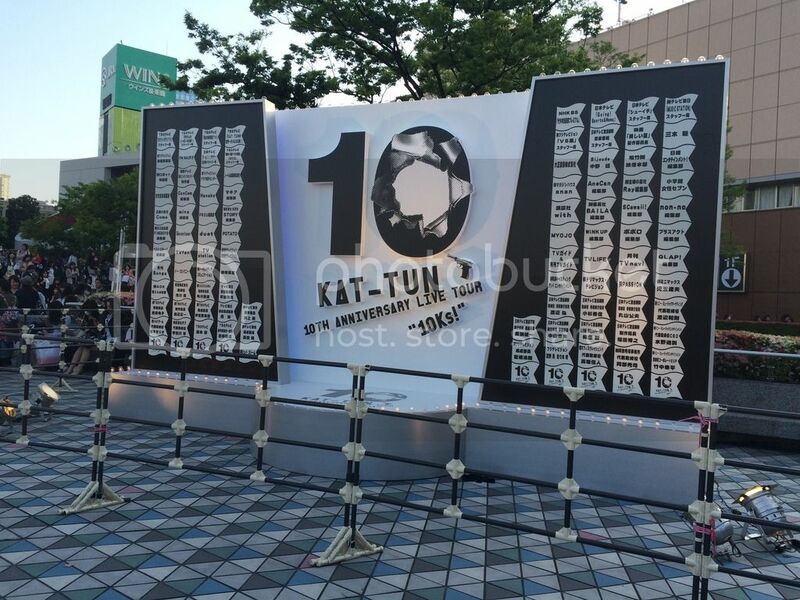 KAT-TUN's aesthetic is really different from mine, but I still really liked 10KS design, especially with all the old concert logos and such in the background. 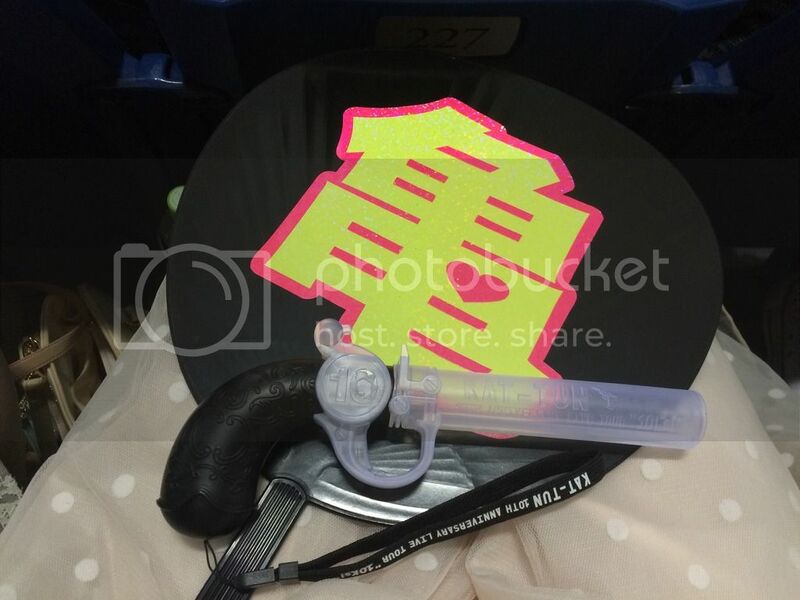 Especially for Tokyo Dome, my seat was really quite good! I could see all the stages clearly, and I was really close to the large back screen, so if I wanted, I could turn around and watch the screen crazy close, like being in the first row of a movie theatre or something. The show itself was really good. Even as someone who hasn't followed KAT-TUN closely through the years, and who only started to be interested in them recently, I really enjoyed it, and the fact that they wrote all the song titles on the screen when they performed them was really helpful and I wish every group would do that. All three of them are really talented, and the entire show was really fun. I also really liked the costumes! They looked really good the whole time. Aside from member interactions, Nakamaru's beatbox corner was both really impressive and really funny! He had subtitles of his "inner voice" on the screen while he beatboxed, and some of it was hilarious "words" that he was saying… basically, words that sounded like the sounds he was making. His beatboxing was so impressive, too! And during the vampire corner, Kame did impressions of various drama characters that he'd played before, which was really funny. Ueda's solo involved him riding… some sort of recreational vehicle? It had too many wheels to be a motorcycle, but. It was cool! And then, I was really moved by their speeches at the end. I didn't see the last show, so there wasn't a whole lot of crying, but they all sounded so emotional, and I can't imagine what it would be like to have this be your tenth anniversary, on the verge of taking a hiatus at best and breaking up at worst. Both Ueda and Nakamaru said that they would definitely be back, so I want to believe them. And then Kame went last, and I was just really moved at how much he clearly loves the group, and how responsible and thoughtful of a person he is. He talked about how they should be thankful for the effort even of the members who aren't around anymore, and while I have mixed feelings about that, I can't imagine how hard it must have been for him to think about the hurts and struggles of the past and still say something like that. I really respect him so much, and I hope for all of their sakes and the fans' sakes too that they'll be back. All in all, the concert was really great, and I really hope I have a chance to go to another KAT-TUN concert in the future. I'm rooting for you, KAT-TUN!! I'm so glad the show and your seats were good! The corners and MC sound like they were really great |D;; Especially the beatbox corner, and Kame as a vampire, what XD;; And if there were song titles on the screens at every concert that would be amazing, seriously. Ganbare KAT-TUN T__T I hope we get to see them again too!